WE ARE DISTRIBUTING FOOD AND HYGIENE SUPPLIES TO FAMILIES IN THE PHILIPPINES IN THE WAKE OF SUPER TYPHOON MANGKHUT. 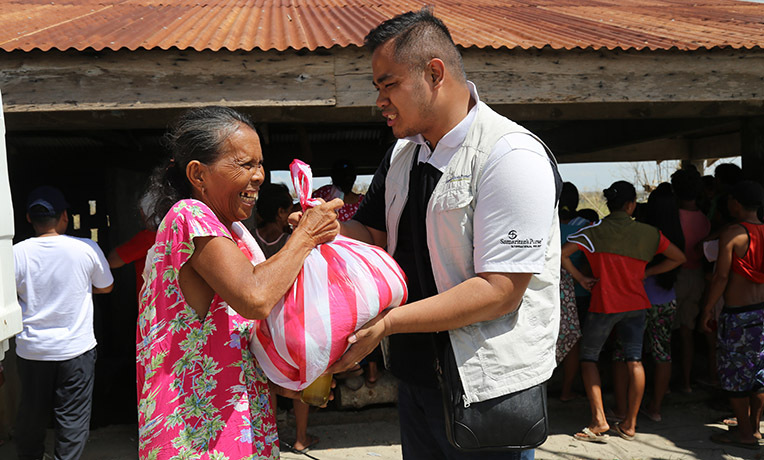 A Samaritan’s Purse team in the Philippines is distributing emergency food packs and hygiene kits to families in need after Super Typhoon Mangkhut slammed into the Philippine island of Luzon on 15th September. Our team in the Philippines has provided packs containing rice and other basic food items to nearly 800 families, representing almost 4,000 individuals. Local church partners are helping to procure food, pack the items and make logistical arrangements.